Seeking damages in a truck accident case in Chicago can be very complicated. It’s very different from a car accident case. In a car accident, the negligent person is usually the driver, and there are rarely extenuating circumstances. There are several possibilities of negligent parties in a truck accident. Let’s look at some of those. If you’re going to hold someone responsible for an accident, the first step is to determine who was negligent, and to what extent. Here are some possibilities. Truckers are professional drivers. In addition to competing for their runs as their employer asks, they have a duty of care to keep you and your passengers safe with their driving habits. Drivers need to be properly trained and respectful of other drivers. Aggressive driving is a big problem on the road. Speeding and tailgating, while common, cause unsafe conditions on the road. Driving while impaired, the use of drugs or alcohol, or lack of sleep, could end in deadly consequences on the highway. So, we need to determine if this driver was negligent. The trucking company can share in negligence when an accident occurs. They can be found responsible in a truck accident. Some trucking companies do not engage in appropriate, lawful scheduling of drivers to include sleep time. Drivers may be on the road that are not qualified and may not have proper training. They may require drivers to drive trucks with maintenance or safety issues. They must not neglect their duty to ensure that vehicles are loaded, secured, and balanced according to regulations. Truck maintenance is the joint responsibility of the driver and the owner. Some examples of safety equipment and parts to be taken care of include: Windshield wipers, steering, tires, brakes, mirrors, and lights. If this maintenance was the responsibility of a third part and was not completed, that third party may be held liable as well. The actual design and/or manufacture of the vehicle may be taken into consideration too. After establishing who’s at fault, you’ll need to show that they had a duty of careand that it was breached by them through negligence, or even purposefully.In some cases, it might be obvious that they are liable for damages. Other cases may be tricky to prove. If this information seems overwhelming, it is but you should not be discouraged! One thing is for sure, the truck driver and the trucking company have lawyers on retainer to help them immediately when an accident occurs. Get your own truck accident lawyer as soon as you can after a truck accident. 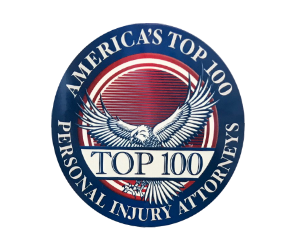 You’ll need the help and experience you can get from a dependable personal injury attorney. Make sure that they specialize in truck accident cases. As you can see, it takes a lot of investigation just to find out who’s responsible.Proving fault will take even more experience and investigation. Focus on recovering from the accident and getting your life back together. Let an expert truck accident lawyer in the Chicago area help you with your claim.This is perhaps the most critical thing you can do to ensure that you don’t suffer any more losses than you already have in the accident.